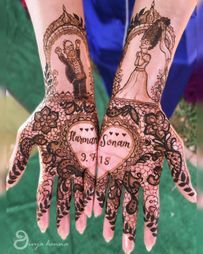 Brides never cease to amaze us, and we love how creative they keep getting with their bridal mehendi. 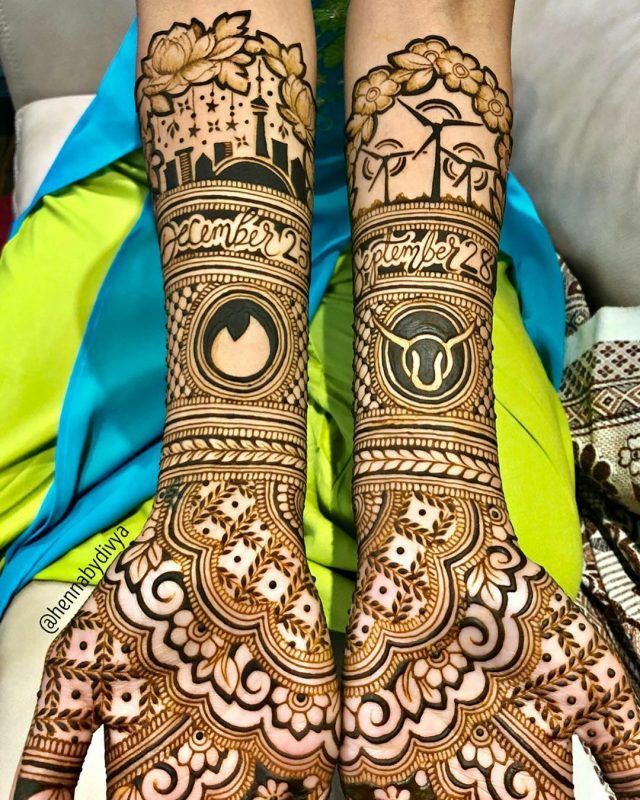 I mean, right from proposal mehendis to those which even have personal jokes in them, we are in love with the new ideas, and check this one out- this bride got a Tinder logo in her mehendi! 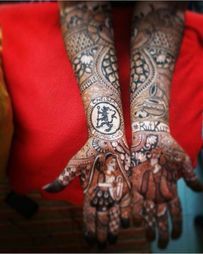 Yup, that's how they met, and she embraced it in her bridal mehendi, which we think is quite amazing and badass! The mehendi done on bride Sonal by Henna By Divya has some more hidden meanings too! 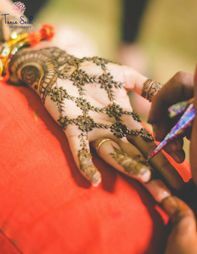 Sonal’s bridal mehendi was personal and oh so, fun! I received a couple of requests for some customizations Sonal wanted but as are most of my brides, she was completely ok to let me pick and choose what would fit best! One of things I loved about Sonal was just how badass she was! She told me about her travels and her work and it was all just so inspiring! In short, a couple of hours flew by with us just chatting away! Sonal and her fiancé met on Tinder and she wanted to embrace that and why not?! 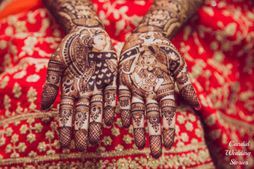 This Actress Had The Most Interesting Bridal Mehendi Design Ever And It Has A Story! 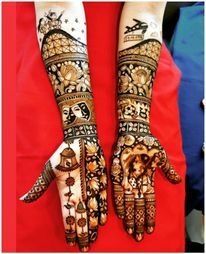 New Ways Brides Are Incorporating Grooms in Their Bridal Mehendi! 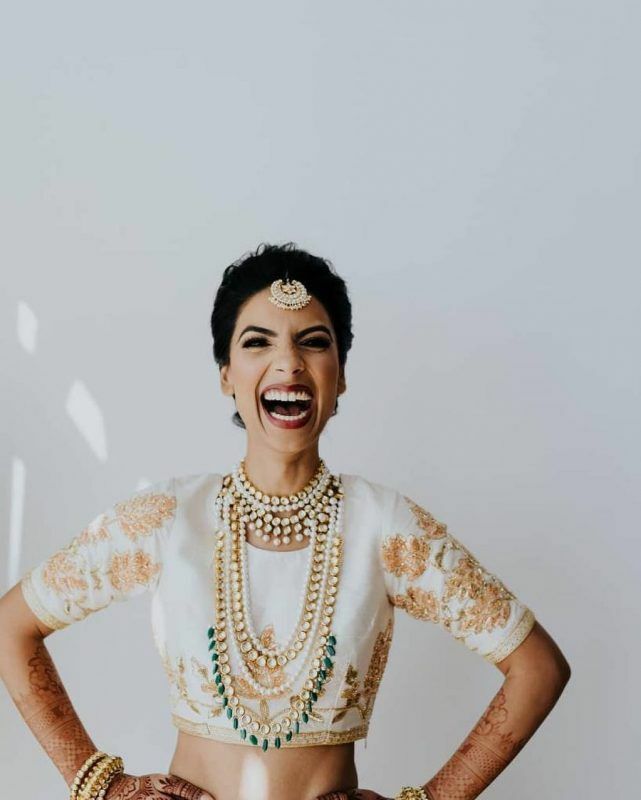 15+ New & Unique Elements We Spotted In Bridal Henna For The 2018-19 Brides! Inside Akash Ambani's Grand Sangeet Last Night! Psst.. Coldplay & Chainsmokers Performed.